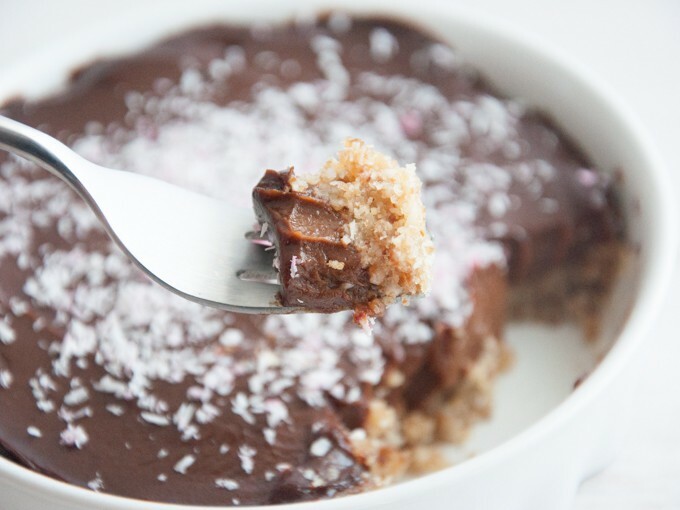 This is a easy recipe for a vegan, gluten-free, Raw Cocoa Avocado Tartelette! It’s no-bake, super creamy and delicious. 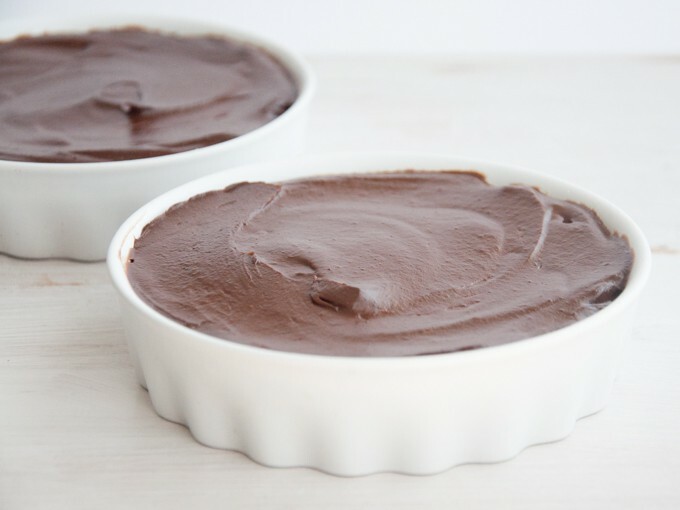 With avocados you can make the creamiest, delicious chocolate cream for desserts! It’s the perfect filling for no-bake crusts. 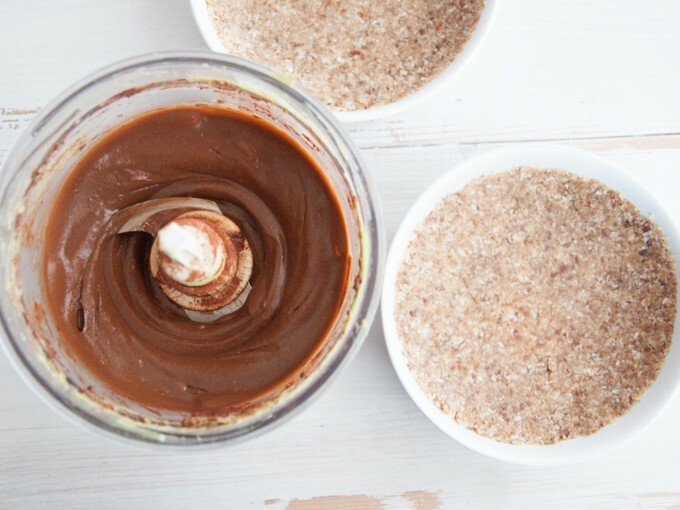 It’s super easy to make and only takes a few minutes – seriously! No-bake recipes are perfect for the summer because this way you can calm down your cravings for chocolate cakes but don’t need to heat up your apartment additionally with oven heat. Yeay! Make it, place it in the fridge for a few hours and enjoy! < As easy as that! Isn’t that cocoa avocado cream looking smooth and chocolate-y? I could eat this by the spoonful! Seriously! The silky & smooth avocado cream is perfect for these tartelettes but also could be used as filling layer between two chocolate cakes or frosting! I’ve topped my tartelettes with colored coconut sprinkles. I’ve got the idea from the lovely Natalie, from the blog Feasting on Fruits. If you don’t know her blog yet, you should check it out now! Her recipes are gorgeous and super creative and I love the videos she makes too because they’re so pleasing for the eyes :) In her recipe she used blueberries to color the coconut sprinkles, so you can even choose if you want the sprinkles more pink (colored with raspberries) or more purple (blueberries). I know, right?! It’s such a hard decision. 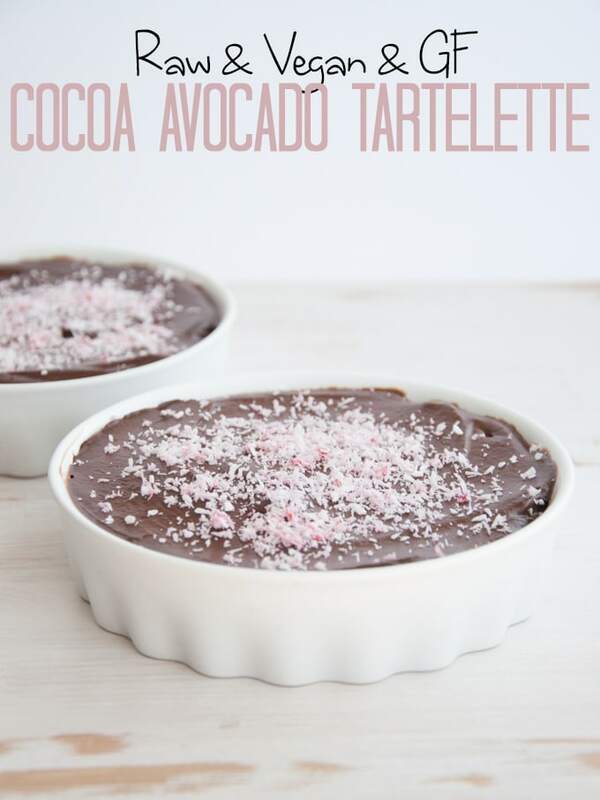 This is a easy recipe for a vegan, gluten-free, Raw Cocoa Avocado Tartelette! It's no-bake, super creamy and delicious. It's the perfect treat to calm your chocolate cravings. Put all the ingredients for the crust in a kitchen processor and blend until the mixture starts to form little clumps. Put the crust mixture in the tartelette forms and press it on the bottom and on the sides. It's easier when you use a spoon to press it down. Cut and peel the avocado. Put all the ingredients for the filling in the kitchen processor and blend again until it's a smooth cream. Add the filling on the crust and flatten the surface with a knife or spatula. Put it in the fridge for about 3-4 hours. The coconut oil will make the filling a little bit harder. 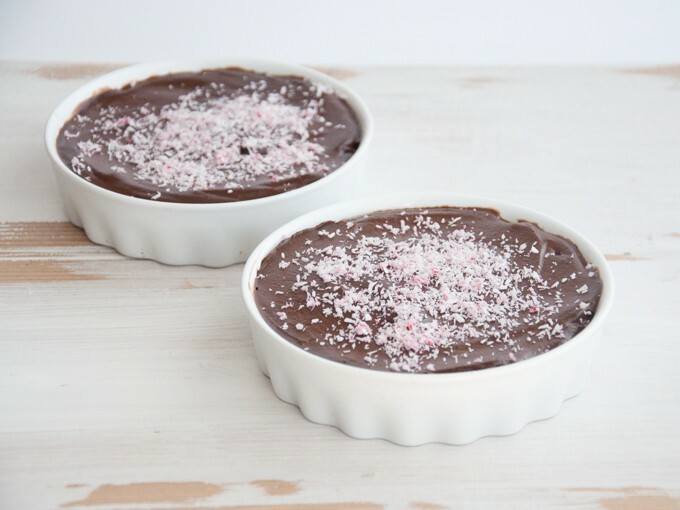 For the pink coconut sprinkles, put the shredded coconut in a small bowl add one raspberry and press and mix it with a spoon until the coconut sprinkles are getting a nice pink color. Top the tartelettes with the spinkles before serving and enjoy! My tartelette dish is Ø 5"/12,5 cm. The idea for the colored coconut sprinkles is from the lovely Natalie of Feasting on Fruit. It works with other fruits as well, like she did in her post with blueberries! The “sprinkles”! I love that idea! I love you chocolate recipes <3 They are always so simple and elegant and decadent! I have made avocado pudding before and mine is never as creamy and perfect as this looks. I need to give it another try and blend the heck out of it :D haha And the pink sprinkles are beautiful, thanks for mentioning me! Aww, thank you so much Natalie. Your sprinkles idea is amazing! The simple addition makes any cake, ice cream, cupcake look so much fancier. Hahaha, yes totally blend it until super creamy, sometimes it helps making more avocado mousse because it’s easier for the food processor or blender. 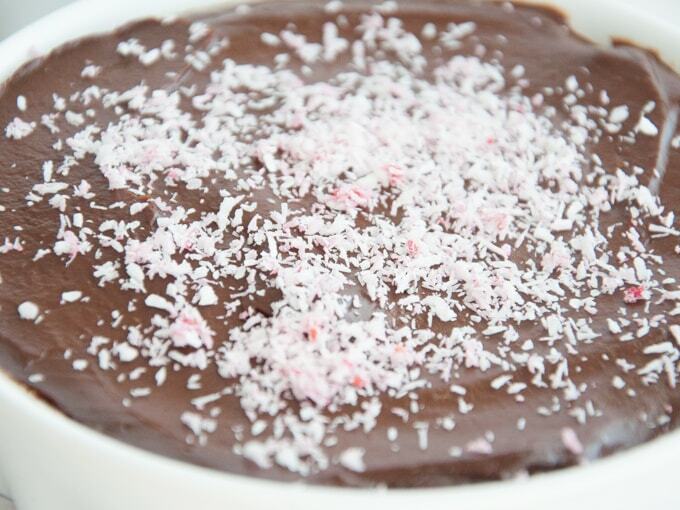 Oh, I love avocado chocolate pudding! <3 What a great idea to make tartelettes with it. Can’t wait to try it! Thank you so much Sina! I love my little tartelette forms because they’re perfect for single portions :) And no-bake desserts are just perfect for the summer. I’m so excited to see your blog growing. I have 4 avocados right now. I have to make this! I need dates though. lol looks so amazing. Thank you so much Michelle :) Instead of the dates you could use a liquid sweetener (agave, maple, rice syrup). Start by adding just a little and then add more until the chopped walnuts are getting crumbly and sticky. About 1 tablespoon should be enough. Is it OK if I use honey or agave syrup instead of rice syrup for filling?